Continuous improvement drives both processing and technology in the meat and poultry category. The difference is that production improvements are implemented quickly, while technical advancements take years and even decades to take root. Coextruded sausage casings follow this arc. Purists may insist on natural casings, but man-made casings are gaining share in production of bratwursts, kielbasas, hot dogs and other sausage categories. Cellulose or collagen -- the protein that provides the connective tissue in mammals -- typically is used to produce these casings. Whether natural or man-made, casings by tradition were stuffed by hand. “This was and still is a very slow process that is susceptible to variations and also presents more challenges in terms of sanitation,” observes Shai Barbut, a meat scientist and faculty member at the University of Guelph in Ontario. That began to change in the 1990s with the advent of collagen gels or pastes extruded onto and encircling meat as it exits the stuffer, creating a film that is fixed onto the meat with a calcium solution. Automation drives contemporary food production, and “all large companies are relying on high-speed linkers, coextrusion or both to produce thousands of identical sausage links every hour,” adds Barbut, who provides a primer on the process in The Science of Poultry and Meat Processing, an open-source textbook he created as a service to the industry. Change comes in baby steps, however, and a prolonged adoption stage was required. Collagen film originally was commercialized for surgical use; sausage applications didn’t occur for another 30 years. Even today, coextruded collagen casings account for less than half the artificial casings on sausages sold in North America, though most of the largest manufacturers are migrating to continuous systems. With three coextrusion lines, Denmark, Wis.-based Salm Partners LLC may be the technology’s biggest user. (A fourth line produces chicken sausage in Decatur, Ala., in a joint venture with Wayne Farms.) The contract manufacturer produces more than 110 million lbs. of private label and branded sausages a year, quadruple the throughput before incorporating coextrusion in its processes. Coextrusion doesn’t account for all of Salm’s success, of course. Sous vide cooking adds a post-packaging pasteurization step that helps push refrigerated shelf life of RTE sausage beyond 300 days. But coextrusion moves stuffing from a batch to a continuous process, preventing starvation of downstream activity between batches and helping optimize throughput. Salm uses coextrusion systems from Marel Townsend. Those machines can produce about 11,000 lbs. of rope or linked sausage per hour. That’s less than some continuous cook/smoke/chill lines, but the cross linking that occurs between the meat and the collagen film provides texture and flavor that allow products to compete in the higher-value segment of the market. In a paper presented at the American Meat Science Assn.’s Reciprocal Meat Conference, Salm’s Paul Hargaten cites the added benefit of applying liquid smoke during the post-stuffing drying process. Liquid smoke solution helps “set color but more importantly cross-links the casing [with the previously applied collagen] and the casing to the meat batter,” thereby enhancing quality of finished goods. Handtmann Maschinenfabrik (www.handtmann.de/en/handtmann-group/) fabricates a similar coextruder using alginate, and in 2012 added the ability to twist the sausage ends. Collagen casings represent about one-third the cost of natural casings, according to Scott Cummings, a regional manager at Robert Reiser & Co. Alginate is even lower cost. “Alginate solution is around 5 cents per lb.,” Cummings says, compared to 14 cents for collagen. Reiser’s CC215 coextruded alginate machine is capable of producing 1,000 1-oz. breakfast links per minute. Shifts in consumer preference can shrink the timeline of change considerably. Demand for natural and organic chicken that is free of antibiotics illustrates this. Feed supplements play a big role in keeping young chicks healthy with little or no antibiotics, but interventions at the embryonic stage also pay dividends. Ultraviolet and chemical fogging are among the treatments being applied before chicks hatch. To fortify its no-antibiotics-ever strategy, Perdue Farms uses baby wipes to clean the 13 million eggs it needs each week to maintain downstream processing. Electron beam is another alternative. Switzerland-based Comet Group AG, working in collaboration with Buhler, is piloting an e-beam system to kill spores, viruses and fungi without harming the embryo. According to Gregor Hommes, business development manager in Comet’s ebeam Technologies division (ebeamtechnologies.com), the system is being trialed at Germany’s PHW Group, with a goal to treat 40,000 hatching eggs per hour. Precise control is critical if e-beam is to destroy bacteria without harming the embrionic chick. Less than 0.5mm variation in the set-point for penetration occurs, Hommes claims, and the process is regarded as nonthermal, raising the egg’s internal temperature no more than 4°C. Absent market demand as a change agent, the goalposts for process automation in meat and poultry keep moving back. Corporate leaders have recognized the need to automate repetitive manual tasks for decades, yet head counts in protein plants remain stubbornly high. A customized robotic case packer built in 1988 for IBP Inc., a beef processor that was acquired by Tyson Inc. in 2001, was an early attempt to address the issue. Two decades later, robotic use largely remains relegated to packaging operations. Engineers at the Georgia Tech Research Institute (fptd.gatech.edu) in Atlanta have focused on robotics for poultry processing for decades. While the research has resulted in related innovations, such as an in-line grading system licensed to Gainco to determine yield loss on cone lines, building a robot that can match the speed and skill of humans remains a goal, not a reality. “Automation traditionally dealt with objects that were rigid and identical to each other,” points out Ai-Ping Hu, senior research engineer in GTRI’s food processing technology division. Mother Nature, on the other hand, doesn’t produce to spec. “We’ve tested thousands and thousands of birds and have never seen the same chicken twice,” he ruefully notes. Deboning accounts for a third of the labor in poultry plants, and automating cone-line work has been a big part of GTRI’s R&D effort. Collaborative robots didn’t exist when research began. Today, Hu and his colleagues are working with a Baxter unit from Rethink Robotics Inc. to provide a machine that can work shoulder-to-shoulder with workers in plant areas that can’t accommodate fencing or other guarding. Determining the location of meat, bone and tendon in each carcass on a high-speed line is one of the project’s biggest challenges. Scott Technology Ltd., a New Zealand machine builder, has solved the riddle for deboning lamb with a six-axis articulated arm robot, but “you don’t have to be accurate within 3mm plus or minus with a lamb,” Hu points out. Regulating knife force with that kind of precision is almost in sight, but the current art can only process 10 birds per minute. Skilled workers process 38 per minute, he says. In-plant trials of the deboning robot are still more than a year out. That’s longer-range than the outlook for an ice slurry carcass chiller also being developed at GTRI. “It’s like a slushy machine,” laughs Hu, with tiny ice crystals in a water bath accelerating heat transfer. An added benefit over conventional water immersion chillers is the scrubbing effect of the agitated crystals as they rub up against the carcass. Quantifying the impact remains to be done, but researchers believe the abrasion may lower bacterial load. Technical advancement seldom follows a straight line, and moving projects from the lab to the line is a slow process. 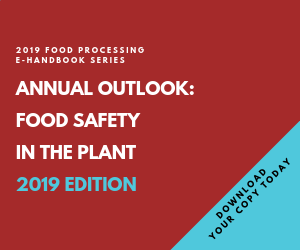 Once their value is established and early adopters are on board, the impact on food processing in general and meat and poultry processing in particular can be profound.